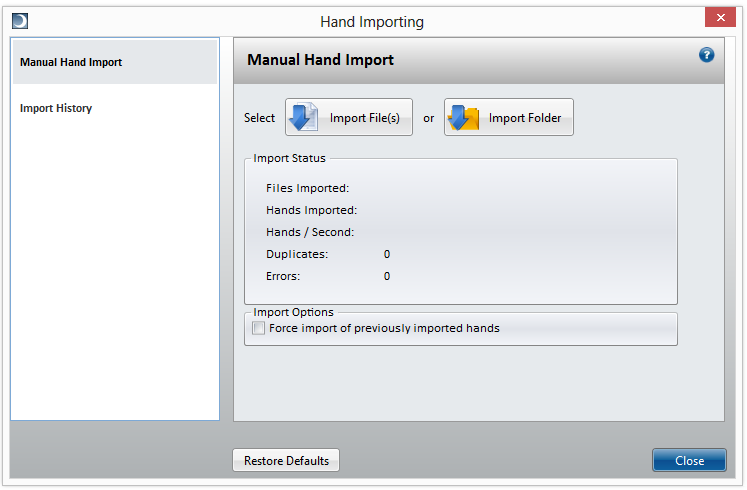 Click the “Hand Importing” button on the ribbon bar to import hand histories into the Wizard. 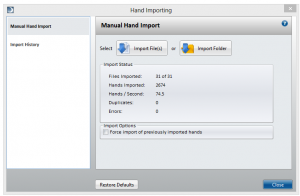 In the Hand Importing dialog, click “Import Hands” to select hand history files to import or click “Import Folder” to import all of the files in a folder. 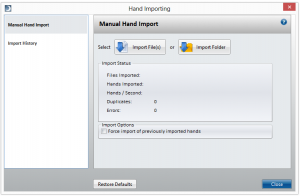 The dialog will display the progress as hands are imported. 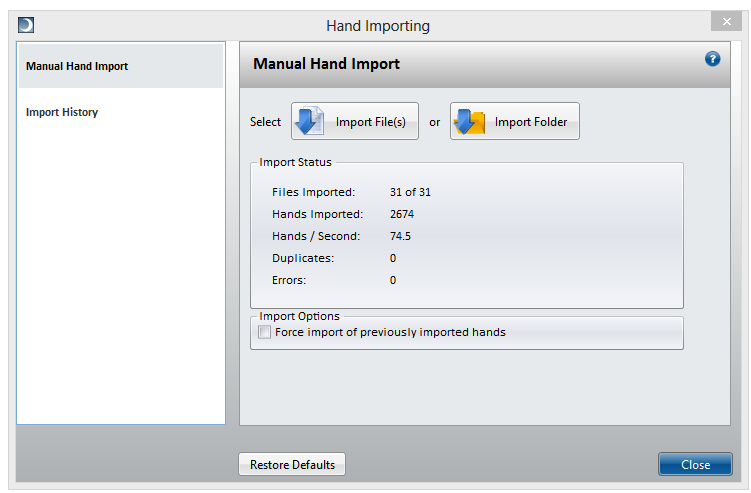 When the import is complete, click the Close button to return to the Tournaments view.